Maybe you’ve heard of SIP Trunk or VoIP SIP Trunking. Maybe an acquaintance of yours saves money by using a Switch Telecom SIP trunk in his or her business. As a result, you’d like to know more. 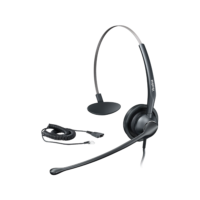 VoIP stands for Voice over Internet Protocol, or in more common terms telephone service over the Internet. 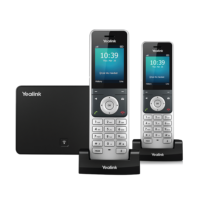 Because your business is already paying for the internet, you can now use our VoIP solution to make calls at a reduced cost. 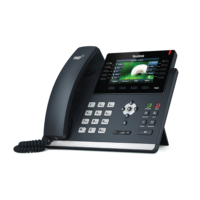 A SIP trunk is the VoIP equivalent of the traditional analogue, basic or primary rate telephony service. It’s a multi-line service that you would use together with a Switch Telecom Hosted Switchboard or a VoIP PBX. 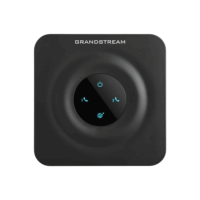 You can also connect it to a traditional switchboard with a gateway device. You can choose from a minimum of 4 up to 1000 channels. A channel is the amount of concurrent lines you can have linked to a number or numbers to allow for concurrent calls both incoming and outgoing. 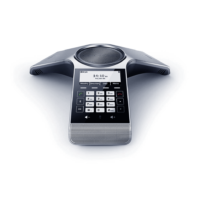 This means that the trunk is ideal for both small and large companies, even call centres. You can choose between a SIP trunk with just one number or one with multiple numbers. Multiple numbers linked to a trunk are called direct dial numbers. Some of our clients give each employee a phone number that rings directly to their desktop or mobile phone. This allows callers to bypass the main business number. Some of our clients have more than one business number linked to their SIP trunk. We can provision 1 number up to a maximum of 10000 numbers on the trunk. Moreover, you can upgrade the number of channels or add additional numbers to your SIP Trunk, at any time, without interruption to your business. Save up to 50% on your business call charges. Port your business number to Switch Telecom or choose a Switch Telecom geographic or non-geographic telephone number. No lengthy contract – sign up month to month. Easily upgradable with no impact on your business. Switch Telecom’s network is fully redundant and offers superior call quality. Call forwarding and Voicemail available. Free fax to email solution for multiple users. Visit our Facebook page to read our excellent client reviews. Click here. Switch Telecom can offer you a new number with your Service or can port your existing number. We do not offer Internet Connectivity but can advise you on a connectivity solution that best suits your needs. Contact us if you want to find out more. Which protocols are supported on the Switch Telecom Business Trunk Services? Both SIP and IAX are supported on the Switchtel Business Trunk Service. How many direct dial numbers can I have with my trunk solution? You can take as many direct dial numbers as you require. We do however work on a 10 number to 1 channel ratio. For example, if you have a 4 channel trunk, you can have a maximum of 40 direct dial numbers. If you require more than 40 numbers the channels on your trunk will have to increase accordingly. 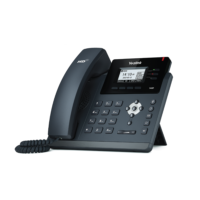 A Switch Telecom Hosted Switchboard Solution or compatible VoIP switchboard/PBX; or compatible VoIP gateway (FXS or ISDN).